Hosted by Jon Kulp on 2015-08-27 is flagged as Clean and is released under a CC-BY-SA license. 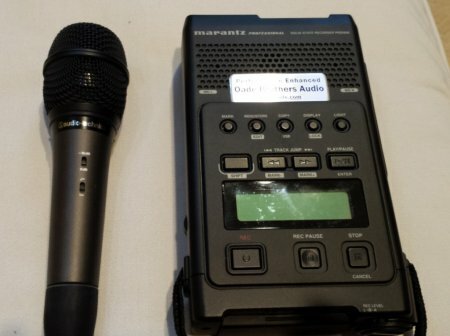 I inherited a really nice audio recorder and microphone from my mother-in-law recently and in this episode I talk all about it and use the new device to record the show. I loved this show, as I do all of John's shows. The words 'this is John Kulp in Lafayette Lousiana' is always a guarantee of quality. The Marantz sound recorder sounds like a very nice piece of kit, and the sound quality was superb. Pity about the Compact Flash media. Thanks so much for the nice comments, Mike. Regarding the bumper music, I got it from the Open Goldberg Variations. Wonderful performance and completely free to download and share. I agree with Mike, I also find Jon Kulp's shows very good.